The country's economic system 'collapsed' because of the measures implemented by the Modi government, Chandrababu Naidu alleged. 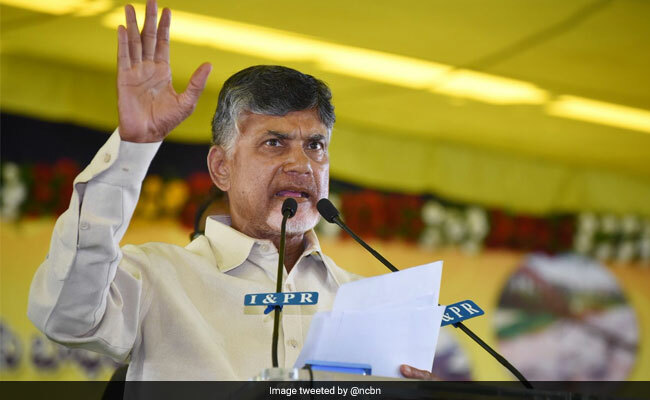 Andhra Pradesh Chief Minister N Chandrababu Naidu on Tuesday challenged Prime Minister Narendra Modi for a debate on what benefit the country got under PM's rule. Reacting to the Prime Minister's interview to news agency ANI, the Chief Minister, who has been going hammer and tongs at the Prime Minister on various issues, asked what was the (economic) growth rate achieved under PM Modi. "It may not have been good under the UPA, but it is no better even in the government. What economic growth did the GST and demonetisation result in?" he asked. The country's economic system 'collapsed' because of the measures implemented by the Modi government, he alleged and challenged the Prime Minister for a debate on the issue. The Prime Minister during the interview, answered a wide range of issues, including the opposition's efforts to form a grand alliance to take on the BJP in 2019 elections, rumblings within the NDA, demonetisation and BJP's defeat in three Hindi heartland states of Rajasthan, Madhya Pradesh and Chhatisgarh.